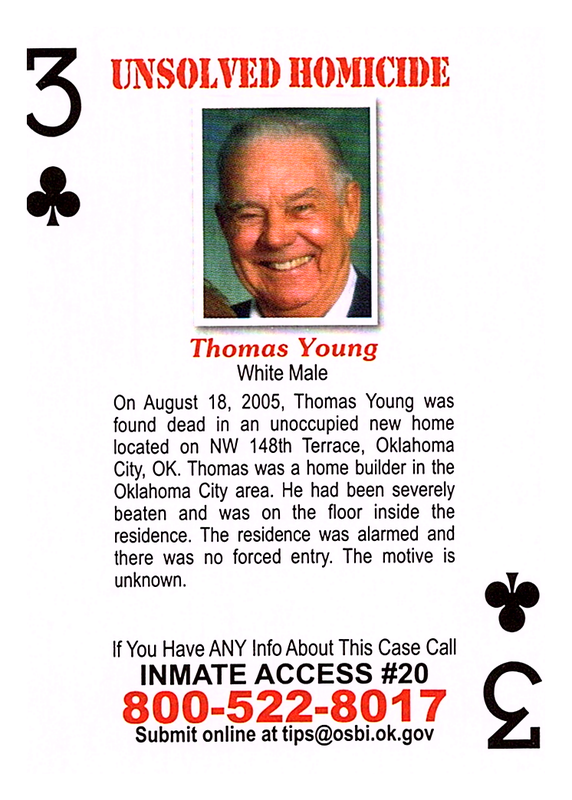 On August 18, 2005, Thomas Young was found dead in an unoccupied new home located on NW 148th Terrace, Oklahoma City, OK. Thomas was a home builder in the Oklahoma City area. He had been severely beaten and was on the floor inside the residence. The residence was alarmed and there was no forced entry. The motive is unknown.